What’s free during FREE WEEK? All group fitness classes. Find the current fitness class schedule online, on the Campus Recreation mobile app (App Store/Google Play) or posted in the FRC. Body composition measures and fitness consultations with a personal trainer. Sign up on the online registration portal, available by appointment only. AquaHIIT: Friday, January 11 and 18, from 7-7:45 a.m. and Wednesday, January 23, from 7:30-8:15 p.m. This offer is open to UM students, employees, affiliates, retirees and eligible adult dependents with Griz Cards. Tuesdays & Thursdays, 10-11 a.m.
Ready to kick up your workout routine and maximize strength and power gains? This class is customizable for anyone looking for sport-specific training or just to be part of a structured, strength training program led by a personal trainer. The group will meet twice per week, with friendly competitions every other week. Compete against yourself and other participants. Register on the online registration portal. Kettlebells 101 is a 45-minute class starting with a dynamic warm-up and transitioning into an effective, challenging, full-body kettlebell workout. This class will focus on technique, safety and quality of movement and is suitable for individuals with a beginner to intermediate understanding of strength training. Register on the online registration portal. Be prepared for fun yoga flow and high-energy music in this black light yoga class. All levels are welcome! Yoga mats, glow-in-the-dark body paint and glow jewelry provided. Each class is $5 for members, $13 for non-members. Sign up on the Campus Recreation online registration portal. 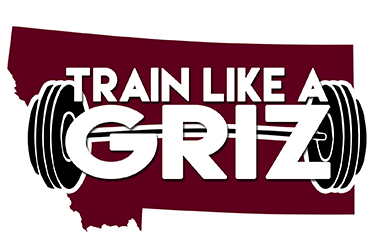 Find your fit with GrizGo! Available to the University of Montana campus community, this service offers fitness classes tailored to your group at a time and location that works for you. You can come to the Fitness & Recreation Center or we can bring the fitness class to you. Our pop-up fitness classes allow you to stay healthy and active at your convenience. Open to the general public, this is an annual two-hour dance event that benefits the Missoula Food Bank. Participants bring at least one non-perishable food item as entry.